Close your eyes. Imagine your dog falling on his side, becoming stiff, chomping his jaw, drooling profusely, urinating or defecating, and crying while paddling with all four limbs. Imagine helplessly watching your dog be overcome by this silent monster with no ability to help him or stop it. You cry out and plead for someone, ANYONE to stop the horror and save your baby from this monster within! After several minutes he “comes to” but is confused and disoriented. He starts wandering blindly, pacing, thirsty. What is less than 5 minutes might as well be an eternity. You thank God for His mercy and pray for the silent monster to never return again. But it does. For with this monster, there is no cure. No end. No certainty. But there is HOPE, because with KNOWLEDGE comes POWER. Epilepsy is defined as recurrent, unprovoked seizures not caused by something outside the brain (for example, kidney or liver disease that might trigger an isolated seizure). Approximately 0.5% – 5.7% (~ 2 million dogs) of the general dog population are diagnosed with canine epilepsy each year, with 75% of those put into the idiopathic category. The word idiopathic is used to describe a disease or condition that arises spontaneously or for which the cause is unknown. A diagnosis of idiopathic epilepsy in dogs occurs when a dog has had 2 or more unprovoked seizures. Idiopathic epilepsy in dogs is both proven and presumed to be hereditary. That bears repeating. Idiopathic epilepsy in dogs has been proven to be hereditary in several breeds and is presumed or suspected in numerous other breeds. While it is true that any breed of dog can be affected, the following is a list of breeds in which idiopathic epilepsy is prevalent. Significant strides have been made in the last few years in the area of epilepsy research, for both dogs and humans. Though there are no clear-cut reasons why certain breeds are genetically predisposed to epilepsy, there is some consensus with regard to the congenital anomalies of the disease. The most common explanation is through a recessive inheritance, meaning certain traits do not appear present in parent dogs, yet are passed on to the children. In this case, idiopathic epilepsy in dogs would be inherited from both the sire and the dam. Another explanation is polygenic inheritance – where multiple alleles are needed to determine the makeup of a certain trait. In other words, the risk of an individual dog having epilepsy is controlled by many genes, each of which contributes some amount to the overall phenotype. In either case, dogs (sire and/or dam) who have produced epileptic offspring should not be bred. Period. This post contains affiliate links from which I may receive a small compensation. There is NO ADDED COST to you should you use these links. Thank you very much for your support! But what happens when idiopathic epilepsy in dogs skips a generation or when only one out of a litter of 10 puppies is affected? Are the other 9 siblings of the affected dog carriers? Should they be bred? As I stated in Nature Versus Nurture and the Drivers of Canine Temperament, I can be opinionated. I tend to be a black and white kind of gal, with very few shades of gray in my life (no pun intended). I do NOT believe the siblings of affected dogs should be bred. Researchers tend to have more objectivity. The Canine Epilepsy Project is a collaborative study into the causes of idiopathic epilepsy in dogs and is supported by grants from the AKC Canine Health Foundation (CHF), National Institutes of Health (NIH), individual breed clubs and private donations. “Recruit samples from a large number of affected individuals and their immediate family members (siblings, parents, and grandparents), from many breeds of dogs. Evaluate the genotype of selected families to search for linkage between DNA markers and clinical epilepsy, then use this information to identify the causative mutation or mutations. Because epilepsy is the most common medical neurological disorder in dogs, the AKC Canine Health Foundation has made it one of their top priorities. Here are some of the recently funded grants, several of which are still open for donations (DNA). In Canine Epilepsy: A Journey from Heartbreak To Advocacy, I shared Kelly Ann’s story. She is the big dog mom of not one, but two epileptic Mastiffs, Riona (5/27/10 – 12/19/14) and Fearghas. Their story is a story that needs to be told. Told to the millions of dog owners, like you and I, who live our lives unaffected by this terrible monster. Why you ask? Because each one of us can do something about it. With knowledge comes power – when we know better, we need to do better. Each one of us has the power to make a difference in the life of a human or a canine affected by epilepsy. The following are four simple action steps YOU can take TODAY to make that difference. I think of this DNA bank like a one-stop-shop for canine genetic research because each donation can be used in a plethora of research studies, including those that I referenced above on idiopathic epilepsy in dogs. And, bonus, it could not be easier to donate. In addition to wearing purple in solidarity with all those living with epilepsy, please consider joining the Purple Day for Epilepsy 2018 Event. Use the hashtag #Pets4PurpleDay on Facebook, Twitter and Instagram. Whether you are an epi-parent or not, you can help to raise awareness and shine a light on this important cause. The Wally Foundation: Dedicated to financially assisting people, dog rescues, and animal shelters who are caring for canines diagnosed with epilepsy and providing support for epilepsy research. 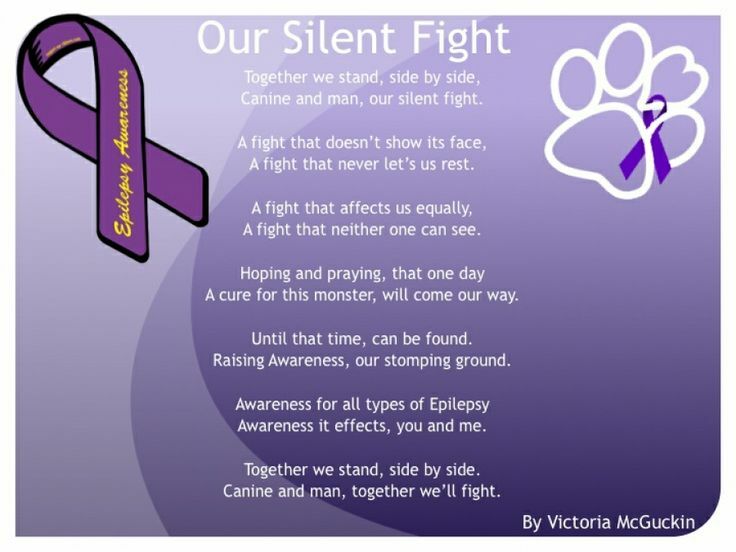 Epil-K9: Information and support to those who love and care for an epileptic pet. I had no idea of the scope of the problem in dogs! Wow. Thank you for an amazing post. I know you will be putting knowledge in front of a lot of people and and Know you will save lives! Seizures are so scary, and those minutes feel like forever! My neighbor had a Belgian Tervuren that had epilepsy and even though she would go long periods of time in between episodes, the fear and awareness was always on her mind. It’s so hard when our dogs are sick, we just want to make it better for them. Thank you. That is so true! Many prayers for your neighbors Belgian! Excellent article! 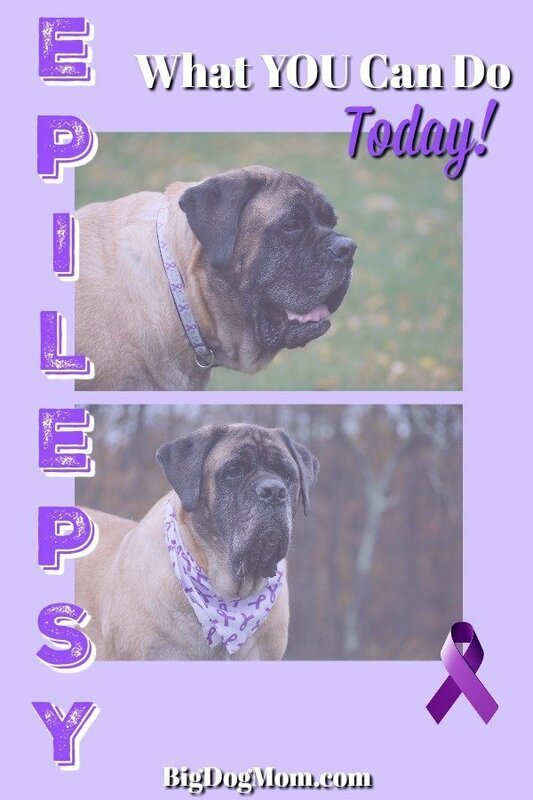 Thank you for joining our Purple Day blog hop and for advocating for dogs with Canine Epilepsy. My FiveSibes #LiveGibStrong journey began with my Gibson who was diagnosed shortly after his third birthday with idiopathic Epilepsy. Knowledge is indeed power and aligns with our advocacy for awareness of these amazing dogs! The more people know, the more we can help both Epi-dogs and their families. Sharing your article and adding to my list of resources.? Thank you so much, Dorothy! Please let me know if there is anything more I can do to help your efforts as well. Yes, it is quite terrifying. The blessing is that the dogs generally don’t feel pain during a seizure. That really is the only blessing. Thank you for all this good information. I believe you can help people so much. Thank you so much, Clare! Knowledge/undestanding certainly is power. Sadly, the fact they still put idiopathic in the description of the problem means that true understanding is still lacking. Thank you, Jana! That is exactly the problem and why we need to support research for a cure. Until we have a genetic marker breeding decisions will be based on risk profiles, hope and past experience rather than a definitive yes or no to a dog being a carrier. And unfortunately there are a few breeders out there who are still breeding dogs who have epileptic offspring, the most obvious clue that they are a carrier and should NOT be bred. The other challenge is that epilepsy doesn’t behave the same in every breed. This further complicates finding a genetic marker, which when we do, will likely be breed specific. I’ve read about epilepsy in dogs, but have never had a pet with this condition. I can only imagine how difficult it can be to have a pet who has seizures. Thank you for sharing this information. I had a mixed breed dog with epilepsy about 25 years ago. She supposedly was part lab and border collie mix. She had it real bad and averaged four seizures a week. Yes, it was an uncontrolled demon. The memoir I am writing starts with her having a seizure. I wish they could find a way to control this awful disease. You and me both, Sandy! I look forward to reading your memoir. This is fascinating. Testing for DNA markers would be so helpful. My grandparents had a lab mix who suffered from epileptic seizures, and it was often traumatic. It’s also helpful to just know what a seizure looks like and to know how best to handle it if you ever come across it. Thank you, Amy. Yes, I believe the DNA marker will be the key. Management can be a combination of medications and nutrition and, fortunately, more and more is being studied on how to control it. So informative! I had a field spaniel growing up that started have seizures, I don’t if it was epilepsy, but I do know how scary it was to watch him during episodes. It was heartbreaking. Oh, I bet that was scary. I’m not sure how much testing was available years ago; whether one seizure was defined as epilepsy or if they tried to identify other causes for the seizure before labeling it epilepsy. It would be interesting to know.